As Charisma Media's new publisher, I'm grateful for your contributions, whether for our print or online brands. Charisma Media recently celebrated the 40th anniversary of Charisma magazine—and God has been faithful to use us in His kingdom work. Now we're eager to keep moving forward as God leads us. Our direction is simple: quality over quantity. We've noticed that quality in many submissions to our magazines has declined in the last few years. In pursuit of excellence, we must resolve to hold our standards in research, writing and grammar to the highest level. I'm pleased to introduce to you our revised writers' guidelines. Below you will find our revised writing instructions. We've made quite a few updates. Some revisions should have been made long before now (For instance, you'll be pleased to know typewriters are no longer necessary to submit articles to us). If you submit an article that doesn't adhere to our guidelines, we'll send it back to you. I encourage you to look at our writers' guidelines. Read them thoroughly. We believe our guidelines will serve you well as a writer. We'd love for you to keep writing for us. To make that happen, let's work together to produce quality content for the benefit of our readers. We look forward to your next submission! As part of Charisma Media, Ministry Today is a leadership magazine for pastors, ministry leaders and business leaders who want to make a lasting impact in the kingdom of God. We equip Christian leaders to grow. Through our Marketplace Ministry articles, we target kingdom-minded leaders who are making an impact for the gospel in the workplace and beyond. These leaders are key influencers for Christ in their professional lives. They are walking out their faith and seeing results as they are directed daily by the Holy Spirit. More than 5 million readers access Charisma Media content every month. While our publications have historically served a largely charismatic/Pentecostal readership, Ministry Today has expanded its reach to engage a broader readership within the evangelical community. Along with articles inspiring and assisting ministry leaders, Ministry Today publishes features, departments and columns of interest to business leaders and other professionals working outside of traditional church or ministry settings. We sometimes repurpose blog content for our columns but seek to maintain a more formal tone. We do not accept essays, editorials, sermons, book reviews, works of fiction or poetry. Most of our articles are assigned, but we sometimes publish unsolicited content. You may submit a brief query through our submission form. We are not always able to respond to every query, but we will respond if we need more information or if we accept your idea. If your query is accepted, we will provide further direction for the full article. After we've accepted your query, write the article according to the guidelines we send. We prefer you send your article via email along with your byline and brief bio (job title, church or business, city/state, and social media or email through which our readers can contact you, if you so wish). Departments: For the most part, this is the type of article that will be accepted from outside writers. These are the "nuts and bolts" of our magazine and run no longer than 700 words. These departments are categorized under the areas of Ministry Life, Leadership, Outreach and Facilities. Features: A small percentage of freelance writers come up with such great article ideas that we give them more editorial space to develop their ideas. These are feature stories that are lengthier (2,600 words or fewer), more in-depth (including interviews and research) and run the gamut on subject matter—anything from ministry trend analysis to an in-depth how-to article. Before you write an extended feature for Ministry Today, we would like to see some writing samples of your published work. If you wish to have your article returned if it is not accepted for publication, please enclose a self-addressed stamped envelope. Our standard when citing the Scriptures is the Modern English Version (MEV) Bible. Please use the MEV in your writing unless you need to use a different translation for a specific reason. We follow Associated Press (newspaper) style with some exceptions. Our editors will edit your material according to this style. Keep in mind that we do not use footnotes, but attribute as necessary within the article. We generally prefer writing from a third-person point of view, although we make exceptions for certain types of content as deemed appropriate. We may need to return your article for revisions or shorten it in the editing process. At Charisma Media, we write in spirit and in truth. Philippians 1: 9-10 calls us to be "blameless" and approving of "things that are excellent." With that foundation, we decry the practice of plagiarism, using another's work without proper attribution. As a writer, if you attempt to pass off someone else's writing as your own or do not source your quotes or information correctly, we will reject your submission. Plagiarism can also occur when you use someone else's argument or expression, so take care to cite the source. Recycled content does not honor the spirit of excellence we seek to maintain in our writing. Plagiarism undermines the trust of our readers, which is critical to our work as journalists. Please take time to read—even study—at least one or two of our recent issues before submitting a query. Sometimes people submit their writing without ever having read or understood our magazine or its readership, and sometimes people will have read our magazine years ago and think they understand it today. But because editorial direction changes, it is vital that you are familiar with our current magazine and readership. 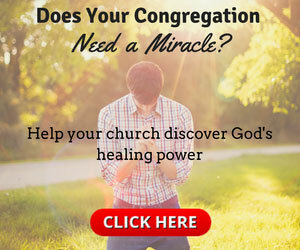 You may read a digital version of Ministry Today at our website, ministrytodaymag.com. Email any questions to ministrytoday@charismamedia.com. We want to answer emails but do not guarantee a response.